Business listings, products, services, deals/offers, rewards progams, job posting, other business pages, resume, 'hire me' buttons, lead generation pages...and everything you need to succeed online. Covers all you need to succeed online. Helps you in better visibility in search engine results. 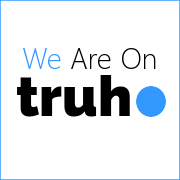 Joining Truho: You join Truho either as an individual or a business user. As an individual, professional, provider of services, retailers, a new business, or any business looking to increase its visibility online. If you are a professional, you will find Truho more to your liking. Use it to create a rewarding online presence for your skills and work. A. Publish your resume: Truho gives you a clean url for your resume. B. Create a 'Projects' page: This is very useful for creative professionals and freelancers. C. Post a "Hire-me" button: You can track new hiring leads in your Truho dashboard and respond to promising leads right there. 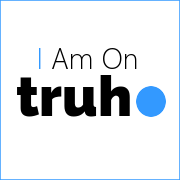 D. Have an "Ask-me" page: This is where other Truho users can ask you questions and you can reply if you want to. E. Publish a "Now" Page with latest updates about yourself: This is a Truho specialty. Think of your 'Now' page as a Twitter page with one big tweet, where you can write what you are up to nowadays. G. Create special pages: This is for any other page you might need. Well, Truho can't really help you with the innovation part, but it sure can help you promote your business online, helping you get more business through its tools to create a rewards program, share offers/deals/coupons, and more. Truho is for all kinds of businesses, small or big. Even if, by now you may have a web presence of your own - a website, blog or a Facebook page at least. Truho is best for four kinds of businesses: small businesses needing a simple all-in-one web presence, retail businesses who can use the 'offers' section to promote their deals and create a following, shops and kind who kind use the 'store mode' to sell stuff quickly while also giving cashbacks, and service businesses. Truho for new businesses: If you are only starting out, Truho gives you all you need to create an effective online presence. B. Depending upon the things your business sells, list your products/services/events. D. Using your Truho dashboard, track your Truho activity: Important stats, sales, transactions, followers of your Truho page, feedback, disputes raised by your customers, and more. Truho for established business: Even if you have your own website, and presence on other important outposts on the internet, remember that little Truho gives you the only place to share the best things about your business - your marketing campaigns, your best messages for your customers. B. Know whether people love your business/brand well enough to recommend it to others. Coming soon, these Truho specials: Bills, Store Mode, and Payments. Once a Truho member, an individual or a business, you can also do more. Tip: : Update your content / Add new, relevant content to your Truho account regularly, in order to actually make your Truho pages a success.